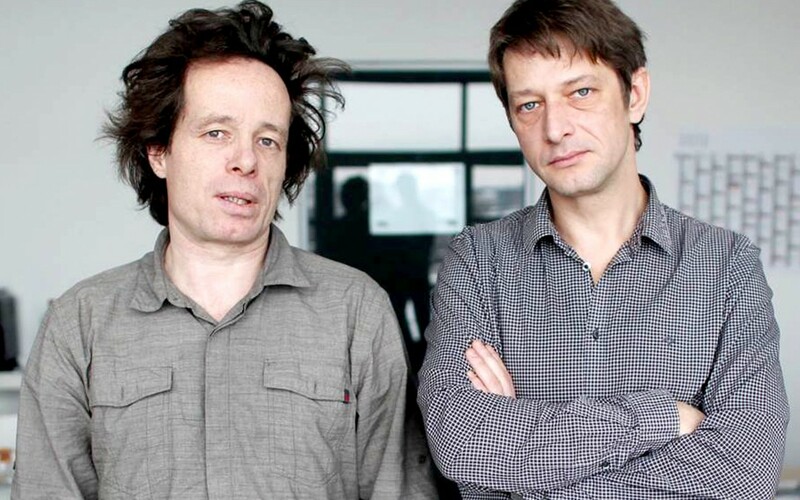 German freelance journalists Thomas Datt (L) and Arndt Ginzel (R). The pair was convicted of criminal defamation in 2010; an appeals court overturned the sentence in 2012. German freelance journalists Thomas Datt and Arndt Ginzel could have been forgiven for assuming that their 2010 criminal trial for defamation would end in an acquittal. The application of Germany’s criminal libel provisions to journalists, as commentators observed, was itself already so unusual that the possibility of an actual conviction must have seemed utterly inconceivable. Nevertheless, their assumption proved shockingly wrong. In August of that year, the pair was sentenced by a court in Dresden to pay criminal fines of €2,500 each for defaming two public prosecutors whose investigation into alleged links between Saxony judicial officials and child prostitution Datt and Ginzel criticised as flawed in a 2008 Die Zeit article. Two years later, in Dec. 2012, an appeals court overturned the conviction, ruling that the criticism amounted to constitutionally protected freedom of expression. The court also confirmed the journalists’ acquittal on charges of defaming, in a separate article published by Der Spiegel, one of the judicial officials accused in the prostitution scandal, known in Germany as the Sachsensumpf(“Saxony Swamp”). With respect to the latter proceedings, the appeals court determined that Datt and Ginzel had demonstrated sufficient journalistic due diligence while reporting on a question of public interest. Although the pair ultimately emerged from their five-year ordeal victorious, the episode serves as a stark reminder that European journalists are not immune from the threat posed by the existence of criminal defamation provisions—regardless of how rarely those provisions may be applied. IPI’s Scott Griffen recently spoke via e-mail to Datt and Ginzel about their disconcerting experience at criminal trial and the consequences on their professional and personal lives. Unsurprisingly, one message in particular came through loud and clear: even in EU member state Germany, never again would they make the “mistake” of taking for granted the protection of press freedom in a court of law. IPI: Tell us a little bit about the background to your articles. Why did you decide to report on the issues you did? Thomas Datt and Arendt Ginzel: In spring 2007 the newsmagazine Der Spiegel and the [newspaper] Leipziger Volkszeitung published excerpts from secret files of the Saxony Intelligence Service [Sächsischen Landesamtes für Verfassungsschutz] on suspected criminal structures in Saxony. The content of the files concerned, among other things, connections among prostitution-industry bosses [Rotlichtgrößen], members of the judiciary, and local government officials. We were not involved in these initial revelations. Rather, we set out to look for aspects of the story that had not yet been brought to light. At the centre of the Leipzig case was an underage brothel that had been closed down in 1993. According to the intelligence report, among the visitors to the brothel were to have been found judges and prosecutors. From old police and prosecution files we got to know the fate of the women who at that time had been forced to work as prostitutes. We sought the women out. Many were still afraid to tell their story. They now lived in various places in Germany, had children, had built up a life for themselves. But the time in the underage brothel had never let them go. We were shaken by what they told us. The revelations contained in the intelligence files threatened to plunge the state government into a deep crisis. Because the report repeatedly came back to a possible nexus among prosecutors, judges, and prostitution bigwigs, the judiciary in Saxony was forced to contend with a serious loss of standing. What truth there was to the findings, and which of such truth would have legal consequences, was to be decided by prosecutors in Dresden. Shortly thereafter [the prosecutors] announced that there was nothing to the accusations. The intelligence service was said to have acted improperly, to have exaggerated information. The actual witnesses had not been questioned up to that point. While all of this was happening we conducted our investigation, and in the meantime Der Spiegel had indicated interest in the story. We presented the women who had been forced into prostitution with a row of photographs of judges and prosecutors. Out of the multitude of images several women identified, independently from one another, the very same persons who had been mentioned in the intelligence report as former customers of the underage brothel. Details on behaviour, payment, and frequency of visits were given. By coincidence the two Dresden prosecutors who had been assigned the case found out about our investigation and also invited the women to come forward as witnesses. The women gave a statement [to the prosecutors] as to what they remembered. A few days later Der Spiegel published the results of our investigation. IPI: What was your reaction to being targeted for defamation and above all for criminal defamation? Datt and Ginzel: In the summer of 2008 we wrote [an article] for the web version of the weekly newspaper Die Zeit about the [prosecutorial] investigation into the accused judges and officials, which by that time had been frozen. The Dresden Prosecutors Office had distorted the intelligence findings and characterised the testimony of the former prostitutes as not credible and contradictory. In the article we criticised the work of the prosecutor’s office. Shortly thereafter we found out that the two investigators had now opened a case against us. Our first decision was to stop reporting. Although we were confident in our investigative work, we felt we could no longer be impartial because the investigation was now directed at us. In the period that followed the prosecutor’s office offered us various possibilities of having the proceedings dismissed if we made amends to the officials who been originally accused. We turned these [offers] down. In the meantime, the publishers had supplied us with lawyers. On April 1, 2010 the trial against us began. The accusation: defamation/intentional libel. As freelance journalists, we were faced with an existential threat. We decided to open up the files [of our investigation] to the [journalist] associations and journalist unions. The solidarity from journalists associations, unions, and Reporters Without Borders gave us courage and contributed to our staying strong. IPI: Did you feel that your trial was conducted fairly? Datt and Ginzel: The case was initiated and led by the same two prosecutors whose investigative work we had previously criticised. The charges were contradictory and arbitrarily constructed. We assumed that we would be acquitted. The trial took place at the Dresden Local Court [Amtsgericht Dresden]. One of the key subjects of our reporting on the affair served as president of the court at the time the charges were brought. Over the course of the trial our judge, who would convict us a few hearings later, received a promotion for the first time in his career. In this light we had reason enough to doubt the fairness of our trial. Doubts also arose with respect to the appellate court, the Dresden Regional Court [Landgericht Dresden]. The [appellate] judge had already previously spoken out about the Sachsensumpf saga, in comments to a magazine in which he rejected the suspicions against his judicial colleagues who had allegedly been mixed up with the underage brothel. Our lawyer lodged a request for recusal based on conflict of interest. Media that reported on our trial criticised the court for its bias. Shortly thereafter came the transformation: the judge indicated that he would acquit us. IPI: How did the trial personally affect you? Datt and Ginzel: The personal consequences were most strongly felt in our family lives. We are both fathers. Our children were at the time too young for us to explain to them why we sat in the dock. We were redeemed through the public support and the acquittal by the regional court. IPI: During the course of the trial, was your journalistic work affected? Were you able or allowed to continue covering other stories? Datt and Ginzel: More than anything the trial robbed us of the time and energy that as freelance journalists we would have needed for our work. In the beginning we feared for our jobs. Fortunately, we did not lose any clients. When we found out about the investigation, we immediately ceased reporting on the case. We imposed this restraint upon ourselves because we felt that, as a party to the case, we could no longer report in an unbiased manner. We passed along the results of our investigation to colleagues instead. IPI: Did you have to personally finance your trial? Datt and Ginzel: Our lawyers were paid for by the publishers, and also in part by the German Federation of Journalists. The travel costs – we live in Leipzig, but both trials took place in Dresden – we had to cover ourselves. The preparation itself for the court sessions and hearings meant for us an extensive loss of income because we were not able to work during this time. IPI: Did the trial cause financial hardship? Datt and Ginzel: We don’t know how large the financial contribution of the publishers was. Due to the acquittal the state treasury [Staatskasse] had to cover the cost of the trial. IPI: What advice do you have for other journalists that might find themselves in a similar situation? Datt and Ginzel: At the start of the trial we strongly refrained from making public comments. We believed that the trial would end quickly and in an acquittal. Only when we noticed that the case was of considerable interest did we begin to defend ourselves publicly. We should have opened up [our investigative] files sooner, since we clearly would have been supported earlier by the professional associations. Our advice: Whoever should find him- or herself in a similar situation should involve the journalist associations as soon as possible. Additionally, today we would fight back more vigorously against the false accusations and also take legal action against the persons who filed the charges/the investigating officials. We didn’t do so then because we assumed, in light of the flimsy nature of the charges, that the trial could end in an acquittal. That was a mistake. IPI: Do you feel that current defamation laws in Germany are fair? Datt and Ginzel: We think above all that the criminal defamation provisions are unnecessary and antiquated. There exists a press law by means of which persons who feel offended or angered by media reports can defend themselves effectively and quickly. When criminal law is applied against journalists, fundamental rights are threatened. In our case, for example, the local-court judge kept wanting to know the names of our sources. We refused [to divulge them]. IPI: What effects has the experience had on you as a journalist? Did it change the way you approach reporting on controversial topics? Datt and Ginzel: The trial had no effect on topics, or the form in which we report. We could have happily done without this experience, but we have not become weaker. Interview translated from the German by Scott Griffen. Published on Sept. 11, 2014.